This impressive little culvert near Rheola is of unknown date, but most probably dates from Rheola's mining heyday in the early to mid-1870s. It is scientifically, historically and aesthetically significant at State level. This historic culvert's main distinguishing features are its relatively massive granite abutments and wing walls, beautifully crafted and ornamented, in conjunction with a tiny 1.8 metre all-timber longitudinal-timber deck seated directly onto the stone abutments. This granite-masonry and timber culvert near Rheola is the most sophisticated, decorative and intact example of its type known to the National Trust. 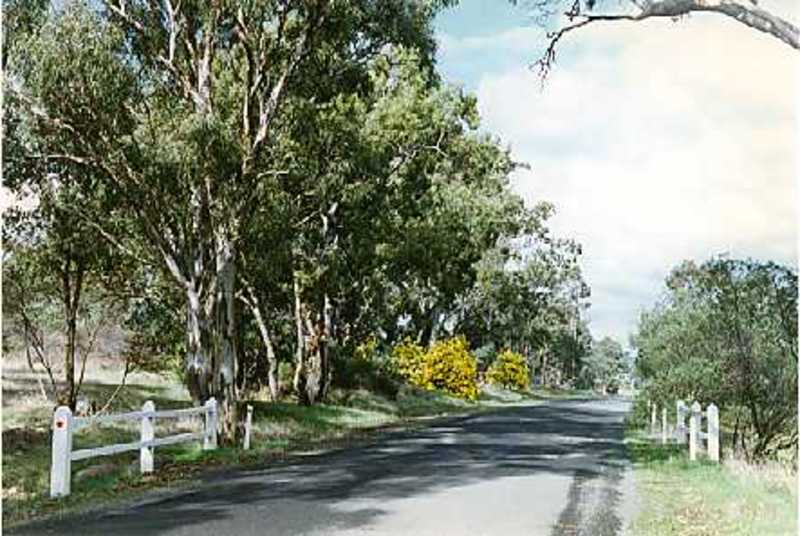 It is situated between the gold-mining centres of Rheola (previously Berlin) and Kingower, on the 1850s mail-coach route between Dunolly and Korong (Wedderburn). However, it was most likely built as part of an 1870s mail-coach route linking Inglewood with Rheola via Kingower. Whenever built, it was an integral part of the colonial transport system of this area once far-famed for its large gold nuggets. Aesthetically, is is a unique combination of beautifully crafted and ornamented granite-masonry abutments and wing walls, with a simple timber deck and handsome side-rails, in a country-road setting andadjacent to other significant colonial goldfield relics. You must log in to do that. You need to be logged into to perform this action. Please login here.